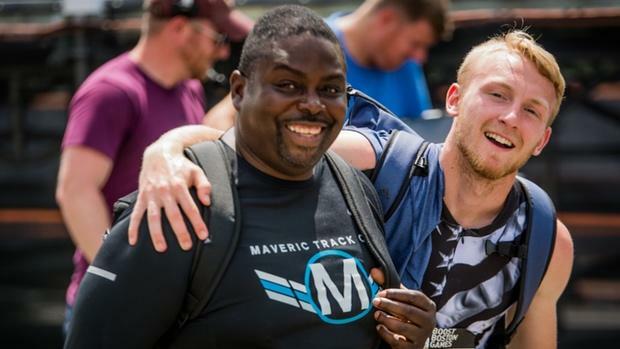 Rohan Grant is the Managing Director of MAVERIC Performance and a IAAF Level 5 Academy Coach, a USATF Level 3 Relays and Sprints Coach and a USAW Advanced Sports Performance Coach. He's based out of southeastern Pennsylvania and has coached several successful athletes in recent years, including Austin Kratz, who won a national championship at 200 meters at New Balance Nationals in 2018. Over the next few months Grant will talk to coaches about the development of young athletes, on modern coaching philosophies and how coaching track and field is changing at the high school ranks. His first conversation is with Sammy Dabbs, a private coach in Texas who has worked with Tonea Marshall, the national record holder in the 60 meter hurdles. Sammy Dabbs:	Well, I am grateful for the opportunity to be here and so far I'm enjoying my weekend here in PA. I am originally from the Dallas area in Texas. I was a college track and field coach for the sprints and hurdles for 11 years. Throughout that time, I was able to work with three different universities. At the conclusion of 2013, I moved back to the Dallas-Fort Worth area to start working with local athletes, starting off at the high school level. The main focus then was just to start working with hurdlers. It eventually grew from hurdlers to sprinters. We were fortunate that some of the first athletes we trained were Tonea Marshall (the high school national record holder in the 60 meter hurdles) and Samantha Gonzalez (Texas' state record holder in the 300 meter hurdles). And when you start off like that, with two athletes who become all-time great athletes in Texas, it kinda kick-starts your program! Since then, we were able to work with athletes like Danyel White, Milan Young, Zach Dicken and this year we have worked with with Dallas Bishop Dunne's Cameron Anthony Miller. We have had the chance to work with a lot of really high-profile athletes cross in Dallas-Fort Worth area, even if it was just from the standpoint of just giving a tip or two to the coaches of these athletes. Rohan:	So one of the things I think that is interesting is that you represent a new breed of coach which is targeting a void, and of which represents an opportunity that most parent are looking for their children: The idea of a specialized coach that has a specialized set of skills to be able to help their son or daughter accomplish a goal, this being in track. Usually the goals are at a really high level. I would love to hear some of your insights about the emergence of "the private/ specialty coach" and some of the things that you've seen as a specialty coach in working with athletes and working with their schools. Sammy:	One of the first things I wanted to do was establish myself as an ally, and not someone who was trying to go behind the high school coach's back. One of the reasons that Samantha and Tonea were successful was the fact that their coaches and I worked together. Many of the athletes in my program still have a relationship with their high school coach. When I first came back to Dallas, and being a former college coach, one of the things I wanted to do was look at the common issues I had been seeing with a lot of incoming freshman athletes. When I was a college coach, there were athletes I had recruited for a particular skill-set, but once they got on campus I realized that there were certain things that were missing: The prerequisites. However, once I came back and started working and seeing what was going on at the high school level, I started to realize that a lot of the problem was the size of high school teams. In many cases I found the ratio of athlete to coaches was as much as 15 or 20 to 1! And so I started to see that the coaches were doing the best they could and under the situation and circumstances that they had to deal with, but there were just certain things they just couldn't get to do. So now that I have been allowed to step in, my main goal was just to fill in the gaps. So if an athlete comes to me and says "This what we did at school," I am not trying to do an entire second workout. I am trying to fill in the gaps for the things that the high school coach just didn't get a chance to work on. Coming from that approach, we minimize a lot of injuries, we cut down on the "I am not trying to tear your coach down," in order to say that "they don't know what they are doing." That is not my goal nor my intent. My goal is to help, and to work in correlation with the coach, so that we can help put the athlete in a position where they can perhaps receive a scholarship and be able to go to school. Then there are those situations when you get some of those really special kids, where it gets a little bit tougher. You have a situation where teams will have their goals, and then all of a sudden those athletes start seeing their numbers rise up into the single digits on the national rankings list. They start to form their own personal goals. When you start to talk about recruiting and stuff like that, it takes on a whole new category then. Because now they realize that the schools that they have always wanted to attend are within their grasp. Now they want to help their classmates and teammates, because that is fun, but they also have some personal goals to get those things they also want. Rohan: Those are some really great insights. One of the things, I think about from my perspective as a coach, because I work with athletes both as a coach both within a school setting and also as a private coach, that I can concur having faced some of those same experiences: Trying to find the balance between creating an opportunity for the athlete with whom you are helping--and who has come to you for your expertise--and also the same time, making sure that the athlete doesn't forget their commitment to the school that's giving them the platform to be able to showcase their talent. Sammy: It's something I think about (constantly) and I believe it will become bigger over the next few years as times continue to increase (improve). I think that over the past three years there's certainly an arms race occurring, in terms of colleges trying to get the best talent. Every year the talent is seeking to improve the performances from the year before and even some of the performances of the kids that are coming into college now, a lot of the kids are coming in are running times that would allow them to qualify for conference championships right off the bat. Rohan: So that leads me to my third question, I think, which is how do you help the kids or do you help the kids in their process of choosing a home, a school that would would help them further their athletic career? Sammy: A lot of that depends on the athlete and how much they want me to be involved. When I first got started, I had a really high profile athlete running for a couple of years. Those athletes really wanted me involved, and not from the standpoint of saying, "Where do I go to school?" They wanted background information. With me coaching as recently as 2013 at the college level, and with so many university and college meets being in the Texas area, it was never difficult for me to go to track meets. Somewhere right around 2014, I started working with post collegiate athletes, so that actually put me right back into college meets. So now I am at a track meet, I work with an athlete, and at the same time I have a side conversation with a coach that's recruiting one of my athletes. If there were a coach who I felt like was a good fit for an athlete, I could strike up a conversation right then and there, so they may become aware that an athlete was interested in their program. That has seemed to work pretty good. When you have 11 years of relationship building, when you had a chance to get NCAA Championship or Conference Championship, and you have coaches that are sitting down, or hanging out in the warm-up area, you get to know these people on a personal level. So as I tell my athletes all the time: The coaches that are recruiting you aren't just people to me, they are friends. There are mutual relationships and friendships. Some of these people call or text and just to check see how I'm doing outside of athletics. So when those coaches will come in town, the conversation is more than just the recruiting conversation. We hang out and catch up and I have a lot of coaches that I look forward to coming to Dallas because they know that when they get off the plane we're going to go grab a bite to eat and hang out. Rohan: I think that really puts you in a unique position. Compared to many coaches that are doing a fantastic job in helping their athletes, you have been able to help the athlete and also help your colleagues professionally to be able to find the right athletes that are a fit for for the program. I think in the end that's something that we all want we all want. I think one of the biggest issue for an athlete or coach is to make a decision based solely on performances and then once you get in, you realize that it it's not quite the fit that they thought it would be. Sammy: I always tell my athletes this, 'You are getting ready to go to school, but you have to think of it in terms of coaches jobs are on the line for every athlete they bring in. So when they look at you, they look at you as a person to decide: Are you going to help feed my family or you going to take food out of my family's mouth? Some people may say that's an extreme, but it's something that I lived for 11 years. Athletes that I felt were not going to further the program, or to help us accomplish our team goals--if I didn't feel strongly that person was going to do that, then I went another direction. I can honestly say I made recruiting mistakes as a college coach, but I always try to correct my mistakes. So my big thing, it was to find the right fit for each kid. To this day, going on year six, I have never told a kid, "You need to go to school 'A.'" They will get to the point where they have a decision between two schools, and they will look at me and say "Tell me what to do" and my response is "That is your decision." I will support them, even if I feel like the decision may not necessarily be the best. I'm going to support them. I'm not going to sit there and tell him "You made a mistake." I've been fortunate that for six years I've helped over 30-plus kids go to college and only two have transferred. So most of the kids, even some that were in some situations that weren't so great, they stuck it out. And if that meant they have to have a conversation with me throughout the week so they can understand the situation--what they were dealing with--then they did. They stuck it out, they graduated and they got their degree. And that's probably what I'm most proud of. The fact that I've helped a lot of kids put themselves in situations that prior to meeting me that they may not had, that they really were going to have the opportunity they ended up having. Rohan:	So I want to pivot and I want to narrow in on something that you alluded earlier, more on the technical side of coaching. You mentioned that in your experience as a coach. You found that athletes weren't ready when they made the transition from high school to college. What are some of those things that you saw, specifically that you believe high school athletes need in order to speed their transition into a collegiate style program, specifically a Power 5 elite collegiate program? Sammy:	Well, I think the first thing that a lot of kids do when they first show up to campus, they fall so in love with their recruiting visit that a lot of times that is what they think it will be when they show up on campus or go to their first day of classes. They go in thinking 'Everything is going to be like my recruiting visit.' But sometimes when you show up on campus, everything is the total opposite. You are in the dorms, your parents leave, the first team meeting you go to is a meeting where you sit down and go through the NCAA rules and compliance. And it's just meeting after meeting after meeting. You have to go get a physical, and the first thing that athletes start to realize is: I have to be somewhere all the time. There is structure in place, whether it is going to study hall, whether it's meeting with an advisor, whether it's being to class on time, whether it's a coach that gets upset because they're two minutes late to practice. The biggest thing is the change from a time management standpoint. It's so funny now. I am friends with so many of my former athletes on social media. Now they will repost the things that they were seeing about what I did to them, when they were athletes. I wasn't friends with them when they were on the team. Now I might see a post that says, "Man, Coach sent us home today because we were five minutes late ...to practice!" Well that was a big deal for them because nobody had ever sent them home before. The other big part is the practice performance expectations. It's not about how hard they can work at practice, a lot of times it comes down to intensity. And when I say intensity, it's the athletes not understanding that "Hey coach has asked me to be way up here and I've never really had to run that fast in practice." So now a coach is asking an athlete to replicate track meet intensity in practice. A lot of them have never done that before. I saw that was another big issue. Another big issue was the weight room. Actually two: the weight room and the training room. The fact that you're in the weight room and now you have a dedicated strength who's going through exercises and lifts and is teaching you in a way that is totally different than how you learned in high school. So that would be one issue, because the athlete may have thought they even had a grasp on that and didn't. The training room: I recall speaking with one of my former co-workers about how telling athletes how that prior to practice, you need to go into the training room to get treatment. Well they looked at the training room as if it were the principal's office, because in high school you didn't go into the training room unless you were hurt! Now we're saying to them, that even though you feel OK, we need you to go into the training room to get maintenance so they can feel even better. So it is a totally different concept. So with those types of situations, what I saw was that it would just take at least a while for athletes to understand those types of things. And so I always tried to make sure that, or I have tried to make sure that my athletes understood those things, especially at the Power 5 level. Once you got a scholarship, that's anywhere from 80-percent and up, there are a huge amount of expectations on you. You are not not just running track, you are not just going to school and not just going to study all. And so most of the kids who have gone to Power 5 level schools have performed up to the expectations of their scholarships, whether its making Conference Finals or making it to the NCAA championships. That is the thing for me, that they are showing that they are the athlete that they were, that the particular staff recruited. Rohan:	A final word, Sammy. If you had three things that you wanted to let your peers at the high school level know about the transition to the collegiate level and the emergence of private coaches to help them in that space? What are those three things that you want them to understand? 2: There's a time and place for everything, including a time and place for you to work with and not work with athletes. I don't attend track meets because I never want a high school coach looking over their shoulder thinking, "I'm trying to coach the kid" from the stands. So to avoid that I just don't go to track meets. Most times parents just film it and send it to me and and I see the performance. So it is OK that you don't have to be there. Because there is a big deal between private coaches, summer track coaches and high school coaches. I've actually told some high school coaches "Hey, try to see if you can reach out and arrange a meeting just to sit down and talk" and you may not get everybody, because everybody has concerns about this and that. I think power/ego thing for some people. For that coach who's coaching at high school, a lot of times the club and private coaches have no idea what type of things that poor coach deals with. They have to teach class, they are taking time to devote to school and also trying to be the best coach they can be. A lot of times they have a family and things in their own personal lives that they try to deal with. At the same time they could be trying to manage an understaffed staff. As I said earlier, it's between a 15 to 1 to 20 to 1 ratio for high school coaches and their athletes in many programs in Texas. So where I used to be tough on high school coaches, now on the flipside, I sympathize with them. They just don't have enough time, they don't have enough equipment, manpower, etc. So if you're going to be the private coach or a club coach, you can request to volunteer. Just know that if you request a volunteer and try to help the school out, that the coach still has all the reason to say no. And a lot of times, people ask questions but don't want to hear the answer that they don't want to hear. So if you're going to help, help. If you are going to criticize, don't do it. But if you do it, don't do it in front of the kids or in front of the parents. Give that coach a chance to make mistakes, because guess what, none of us are perfect. I can look back and realize the mistakes I have made and I'm not perfect. I never claim to be. For every private or high school coach that thinks that they are, take a look in the mirror because the problems start with you when think you're perfect. Another thing I can say is to coaches working with kids, the kid is not always the blame for the bad performance or lack thereof. Sometimes we need to take a hard look at ourselves and say "what is it that we did or didn't do?" We do own some responsibility in the performance of an athlete. If we're not there watching, if we're not there observing, if we're not there critiquing, giving feedback, I think it is very unfair for a coach to blame a kid for bad performances and take no responsibility in it themselves. There are many times where I had a kid and something didn't turn out right, and I walk up the the kid and say "You know what? That was my fault. You did what I asked you to do and that didn't turn out right." I can't sit here and blame them for that. And usually when that happens a kid gets a release and they have a clear conscience, and can go back out there and compete. I'll never forget at New Balance Nationals in 2016. For whatever reason, I didn't come off the training soon enough and Tonea (Marshall) didn't run her best race. She had heavy legs. She just felt like she couldn't move and I told her it was my fault. I told her I didn't come off the training load soon enough. I said by the time we get to California for USA Juniors that next week, we would be fine. And in the USA Junior prelims she ran 13.07! It was the second fastest time that year. I knew she would be OK, but I had to take responsibility and blame for what happened at New Balance because it was my fault. Something as simple as that makes a huge difference for an athlete. Rohan : Any insights for coaches in college programs? Sammy: That one is so different because I can say this: College coaches have so much on their plates and I understand the pressures from the administration. I understand the pressures of being an assistant coach. Being on the staff where the expectation of winning is really high. Meantime, your job is to go out there and recruit the best athlete. I think what could be done with certain athletes, and there are certain coaches in dealing with me that have done a really good job as far as doing their homework with athletes. When I say some coaches do their homework, they ask specific questions. For example, what were the things that make a person tick? What were the things that didn't work well? I know one particular coach, I told him to ask an athlete a question about how they feel or what they're feeling in the workout. They can't necessarily explain it, but if you listen real closely, you can start reading between the lines and hear exactly what they're trying to say. They're young so, so there are certain things that they just can't articulate to the coach. Sometimes listen to them. I'm not saying everyone is like that. Listen, I've had my knuckleheads and stuff like that, who I knew I couldn't trust. I think there's a certain amount of research and foundation that coaches could do a little better job of understanding. Those kids are there because they do want to do well. I've seen kids who weren't on scholarship. A large majority of those kids are there because they really want to run fast and they want to do well. When they're not doing well and to place all the blame on the athlete, I think sometime that's a little bit unfair. I know we have a different generation, which they may not measure up to the standards that we had set up back in our time. At the same time, track and field is the hardest thing that an athlete has ever had to do in their life, from a life experience standpoint. If they've never had to struggle anywhere else in life and now I'm asking them to struggle on the track, well guess what? They don't have any reference points to go, as far as how to struggle. So that makes it actually really difficult for them. They are trying to figure it out. Sometimes you're just trying to figure it out how you can do a better job of assessing that. The things that we refer to as mental health, those things are real. I think that projecting weakness and stuff like that on athletes, that's a cop out. It says that there's something that's insecure about a person as a coach. They can probably do a better job of addressing certain issues that come up. Communication is about getting the kids to understand, that they can open up and talk to you. I'll share this about my college coach: When I was in college, we rode in the vans with our coaches and we had conversations and we talked. For the coaches, they not only got to know us as athletes, but also as individuals. Once it was mandated that everything started shifting towards charter buses and the like, the communication on those trips started to change. I think that's all of a sudden you start to see a change in the coach-athlete dynamics. Rohan:	With that coach thank you so much Sammy. It's been a pleasure having you here! Thank you for coming out and supporting the PATFCC on our inaugural event. Also taking this time to share your inside so your wisdom as one of the brightest and best up and coming coaches in the US!